"Once in a lifetime." The phrase comes up over and over from the people who worked on Peter Jackson's The Lord of the Rings. The film's seventeen Oscars, record-setting earnings, huge fan base, and hundreds of ancillary products attest to its importance and to the fact that Rings is far more than a film. Its makers seized a crucial moment in Hollywood—the special effects digital revolution plus the rise of "infotainment" and the Internet—to satisfy the trilogy's fans while fostering a huge new international audience. The resulting franchise of franchises has earned billions of dollars to date with no end in sight. 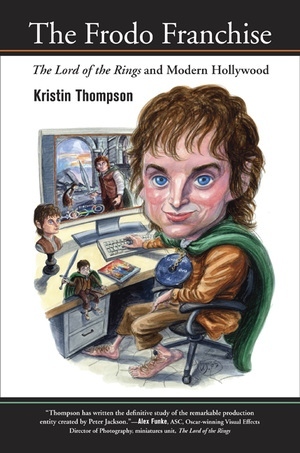 Kristin Thompson interviewed seventy-six people to examine the movie's scripting and design and the new technologies deployed to produce the films, video games, and DVDs. She demonstrates the impact Rings had on the companies that made it, on the fantasy genre, on New Zealand, and on independent cinema. In fast-paced, compulsively readable prose, she affirms Jackson's Rings as one the most important films ever made. Kristin Thompson is an Honorary Fellow at the University of Wisconsin, Madison. Her many books include Film Art: An Introduction and Film History: An Introduction (both with David Bordwell) and Storytelling in the New Hollywood.